Allergy Standards Limited (ASL), the International standards and Certification Body (CB) for allergy labelling, today announced that the SteamWasher from LG Electronics have passed the relevant Certification Standards. The product will now be added to the certification product database (CPD) and will therefore be eligible to joint one or more of the asthma & allergy friendly®®Certification Programs in association with the relevant national patient advocacy group. The product will also now be findable on the certification web site and the companion app which is available in the App store and Google play. How did the Steam Washer obtain the Certification? Capability to reduce bio-allergen levels in test items below limit levels following washing: Demonstrable for more than one allergen. Capability to achieve a washing temperature equal to or greater than 55°C(131°F). The capability to kill house dust mites by washing is demonstrated by prevention of Dermatophagoides Group 1 antigen resurgence over a four week incubation period post washing in test items previously infested with live house dust mite. Washing capability achieved without exposure above designated limit levels of indoor ozone by-product, ionized particles or VOCs. 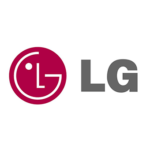 LG Electronics then obtained the certification after the products they sent for testing passed the tests and met the scientific requirements. The LG SteamWasher with Allergiene cycle reduces allergens, including common triggers such as dust mites and pet dander, on fabrics by more than 95 percent. It is the first washing machine to be certified asthma & allergy friendly®. LG STEAM WASHING MACHINES As a leader in smart technology and stylish design, LG TrueSteam™ washing machines go hard on dirt but easy on your fabrics.